Look at this beautiful bowl of super green summer!!! One of the healthiest salads you can eat. 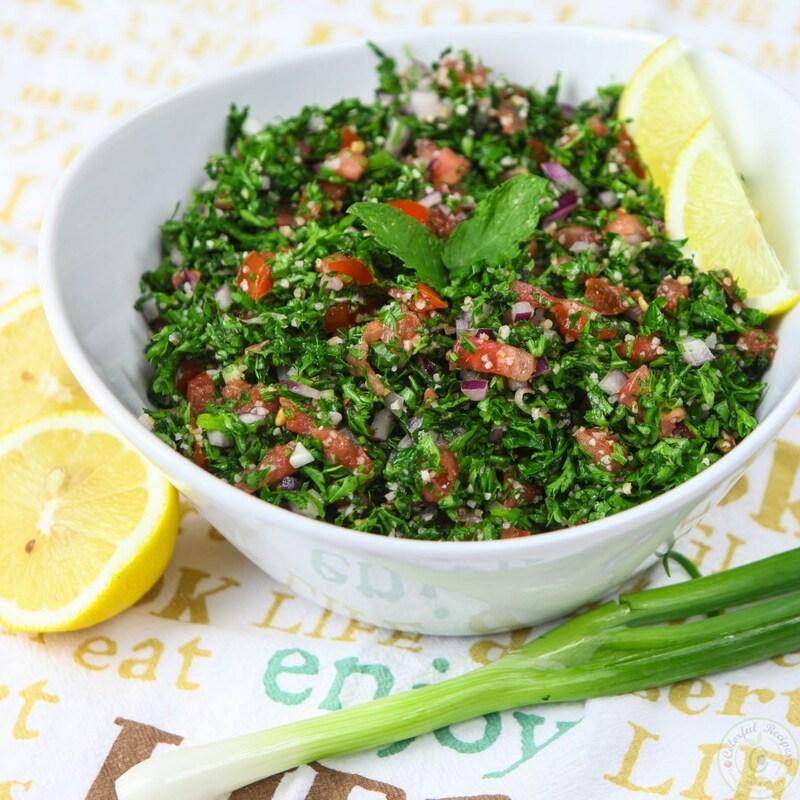 Filled with lots of parsley, this salad is rich in antioxidants, minerals and packed with vitamin K.
1. **Pre-wash the parsley the night before, discard most of the stems, lay flatly on towel or paper towels in small bunches, turning once, to fully dry. 2. In a small bowl, soak the bulgur fine cracked wheat in water and set aside. 3. Finely and gently chop the dry parsley using a sharp knife and add to a large bowl. 4. Add sliced mint leaves, green onions & chopped tomatoes. 5. Drain the burgul and add to the bowl. 6. Add the lemon juice, olive oil, salt & pepper then mix all the ingredients thoroughly. 7. Taste check and adjust the lemon, salt and pepper if needed. 8. Serve immediately. The salad can also be scooped with romaine lettuce leaves.